Although most women report incarceration as a negative event, some experience positive changes as a result of their partner’s imprisonment. If a partner has been abusive toward the woman and/or children, his imprisonment is often a relief. Having a partner locked up also can be advantageous if criminal involvement was endangering the home life or if money was being drained from the family resources for drugs. 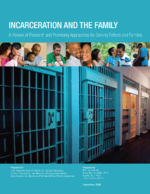 Some women view this time away from their partner with hope, anticipating that the men will look upon prison as an opportunity for self-improvement and learn to appreciate their partner’s devotion. Others use this time to conclude that they do not want to reunite. Women who have experienced domestic or family violence are the most likely to want to terminate the relationship (Fishman, 1990; Hairston & Oliver, 2006).